Originally, our founder Todd Brown decided to implement a scholarship program at 180 Medical in order to help students who live with medical conditions like spina bifida, ostomies, spinal cord injuries, and more. We annually offer this opportunity to 7 recipients among hundreds of hopeful college students across the country. By now, you may know about the last year’s 2018 180 Medical College Scholarship recipients since we announced it last fall. So far, we’ve featured four of our seven recipients, including Kale, Marissa, Alaina, and most recently, Ian. Today, get to know Lauren! She was born with a condition known as spina bifida. Spina bifida is a congenital development disorder that occurs when the central nervous system (brain and spinal cord) does not form normally in the womb during pregnancy. Its effects can range from mild to severe from person to person. It might have been easy to allow spina bifida to keep her from attempting new things. However, she says her parents helped by enrolling her in dance classes at an early age. Physical activity would help strengthen her back and muscles, thereby hopefully minimizing the potential of future complications or illnesses. Of course, she didn’t always have the same physical abilities as other kids, but this just gave her an extra push to up her game and try twice as hard. Lauren kept up with physical activity and even decided to join her high school tennis team. 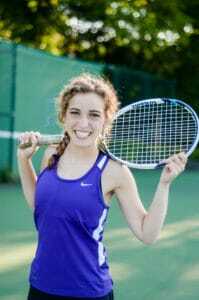 By her junior and senior year, Lauren was the varsity’s first singles tennis player. Thanks to her competitive spirit, Lauren says she approached her schooling in the same way as she did athletics. Throughout her schooling, she has participated in extracurricular activities such as the National Society of Leadership and Success, Medical Ethics Society, and Global Public Health Brigades. 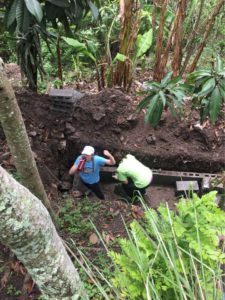 Additionally, she served as the Nicaragua Brigade Leader in the summer of 2017. Her dedication to academics has resulted in landing on the Dean’s List multiple semesters as well. Lauren also works to serve her community in various roles like volunteering at the Cincinnati Children’s Hospital. Plus, she has participated in medical research opportunities. However, Lauren says, nothing else quite compares to “the fire of ambition that spina bifida has sparked in me.” That ambition is to become a doctor so she can help others. I will serve others just as my doctors have done for me, showing patients that there is nothing stopping them from whatever they want to pursue. Lauren clearly has the drive and the empathy needed to become a successful doctor. We’re excited to contribute to her goals during her freshman year at the University of Cincinnati. We’re now accepting applications for our 2019 180 Medical College Scholarship Program through June 1st! Find out about eligibility requirements and download your 2019 scholarship application at www.180medical.com/scholarships. Frank was born with Spina Bifida, but that didn’t keep him from working toward a black belt in Shotokan Karate and finding his true passion to help others. Learn more about this 2017 scholarship recipient’s goals in our latest blog.